Darkspore was a video game that borrowed creature editing technology from Spore. It was described as "a fast-paced, science fiction action-role-playing game in which the player battled across alien worlds to save the galaxy from the mutated forces of Darkspore". In addition to the creature editor, the game featured a unique squad-based mechanic, various multiplayer options, and a player versus player arena. The game was released in North America on April 26, 2011 for Microsoft Windows, and in Europe on April 28, 2011. EA seemingly has removed the store page of Darkspore from Steam, meaning any attempt to purchase it through Steam cannot be made. The game was later relisted with EA saying that they would continue to support for the game. Those who have purchased it prior to the page's removal still have the game and could play it until the servers were shut down permanently on March 1, 2016. The game is currently unplayable due to its DRM scheme requiring a connection. The Crogenitors were a race of scientists that established a massive empire encompassing an entire galaxy. Many of them performed secret experiments on the populations they oversaw. Being masters of genetic manipulation, they used their knowledge to create a personal army of genetic heroes, called Living Weapons. However, the discovery of an experimental amino acid that bonds to DNA changes everything. Capable of achieving a millennium in terms of evolution in a matter of hours, it has an immense potential to manipulate life to levels never achieved before. Unfortunately, E-DNA proves to be unstable. 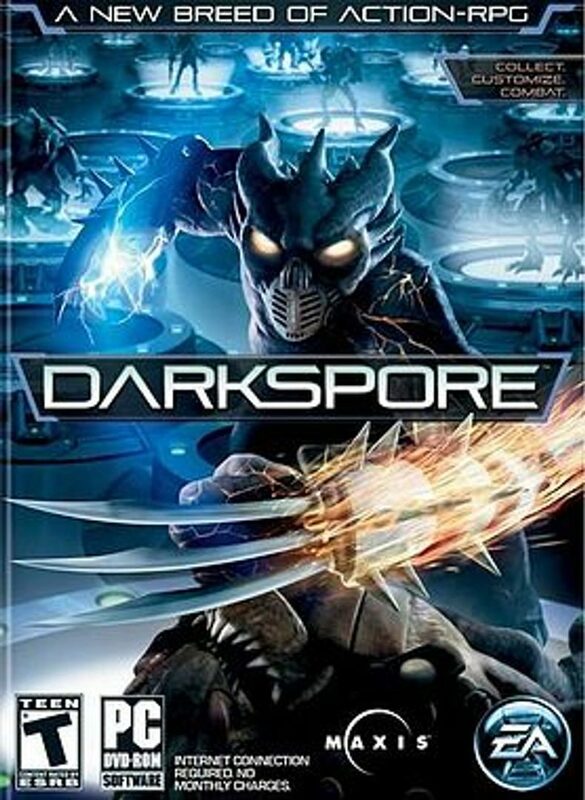 All of the test subjects who came in contact with it were transformed into uncontrollable genetic mutants soon named The Darkspore. Fearing these new creatures, the Crogenitors throw hero Xylan into exile for his behavior and negligence, outlawing the use of E-DNA. Xylan fakes his death. Believing himself able to control the power of E-DNA, he injects it himself. This act transforms him into the Corruptor — a mentally unstable, extraordinarily powerful mutant who can master all Darkspores. Determined to get revenge on the other Crogenitors and conquer everything, he gathers allies and strengthens the E-DNA mutagenic power. Afterwards, the Corruptor begins conquering planets of the Crogenitor empire, infecting them through the use of E-DNA bombs, and destroying Crogenitor fortresses with his mutants and war machines. As the game begins, the player takes on the role of one of the last Crogenitors. Starting with only a few heroes, the player's goal is to purge the Darkspore from the galaxy, planet by planet, moving ever closer to the ultimate goal of destroying the Corruptor forces.